Great turmoil in town: the showboat “Cotton Blossom” is going to land! The variegated troupe of artists pouring from the boat is headed by captain Andy Hawks (Charles Winninger) and his bossy wife Parthy (Helen Westely). The third member of this family is teenage daughter Magnolia (Irene) who meets gambler Gaylord Ravenal (Allan Jones), and instantly falls for him. 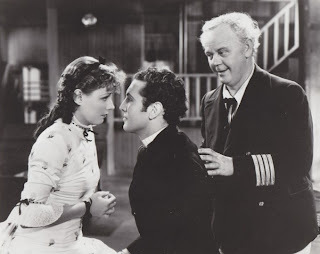 Magnolia's closest friend on the boat is leading lady Julie LaVerne (Helen Morgan) who gets in great trouble when an ex-friend out of jealousy denounces to the sheriff that she as a mulatto is married to a white man, which is against the state's law. Julie and her husband flee, and as things go Magnolia and Gaylord -looking for a ride on the boat to keep out of jail - take over the leads. No wonder this pair is a success because as lovers they play a couple in love,and soon the wedding bells are ringing and drowning out Parthy's strident protest. Though he is deeply in love with his wife, Gaylord isn't reformed, and while Magnolia is giving birth to their first child, he is gambling. 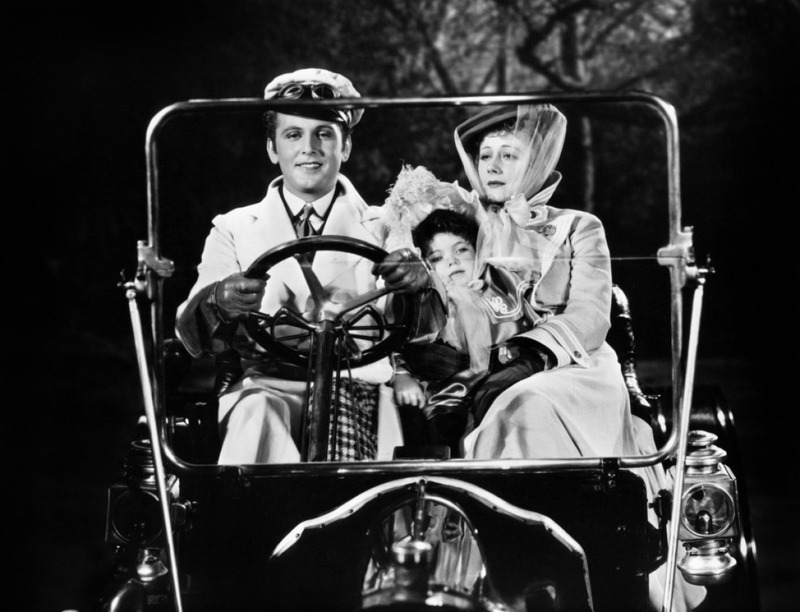 On a lucky streak he leaves the showboat with Magnolia and their little daughter Kim, and takes them to Chicago. But as we know lucky streaks are not for a lifetime, and after a couple of years Gaylord leaves his family hoping that they are better off without him.If he hoped that Magnolia would simply turn to her family again, he is all wrong. Instead she is determined to make a living for her daughter and herself singing… a lot more to tell, but that would be all spoilers and so I just won't! Sentiment, beauty, laughs, atmosphere, an absorbing plot and an “evergreen-heavy” score - all of this achieved by a wonderful cast under the firm direction of James Whale - who could ask for anything more? 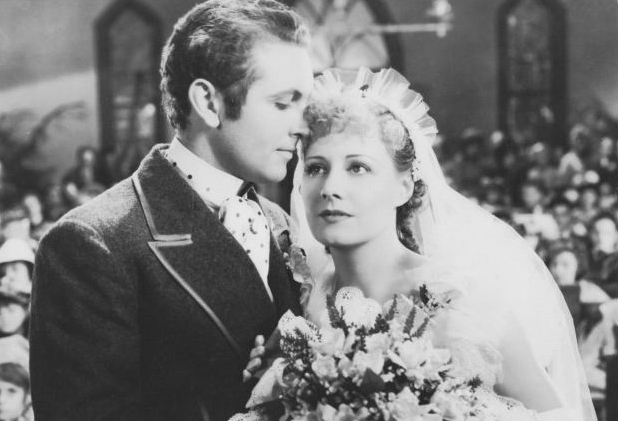 With the exception of the end, this 1936 filming of the musical by Jerome Kern and Oscar Hammerstein II based on Edna Ferber's novel, follows the stage production closely, no wonder considering the fact that the screenplay was written by Oscar Hammerstein II. Ten numbers from the original score were actually sung, four were especially written for the film. 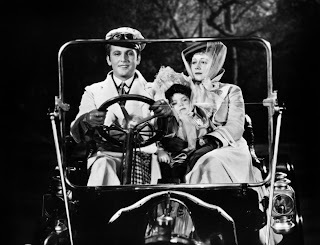 The cast is mainly consisting of actors and actresses who had on stage experience with “Show Boat” and they obviously knew their vehicle. In particular worthwhile watching is the first half of the film, the part which actually plays on the showboat. 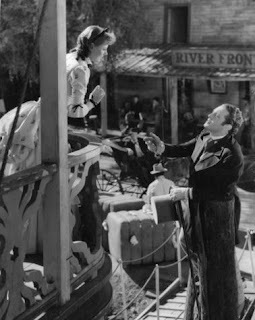 From Paul Robeson's pivotal interpretation of “Ol' Man River” to Charles Winninger's tour de force acting out all parts of the hilarious showboat play on his own, numbers like “Can´t Help Lovin' Dat Man” with Irene breaking into a shuffling and trucking step, or Magnolia's and Gaylord's first encounter ending in “Make Believe” - it's all there. In the end the film gets a little bit hasty – director James Whale had to cut some scenes - and this shows. Regrettably, one scene which ended on the cutting floor was Gaylord and Magnolia singing “Why Do I Love You?” on a trip with an automobile. Of course Irene, already in the second half of her thirties, didn't look like a teenage girl anymore, but she emanates the air of youthfulness, something she accomplishes mainly through her way of moving. Magnolia is an interesting role with a wide range of emotions – no problem for Miss Dunne who knew this part back and forth. 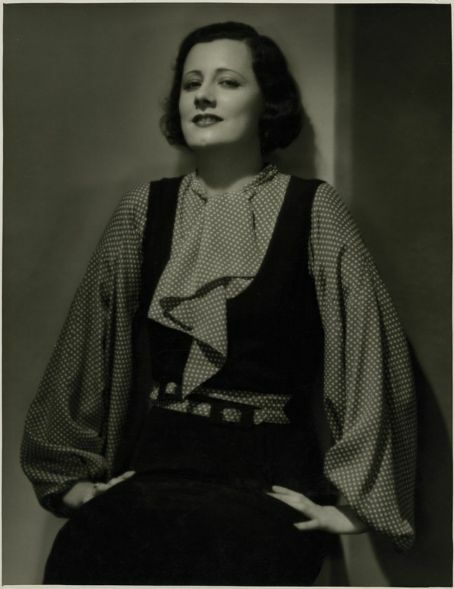 As you know by now, I have quite a weakness for Miss Dunne's singing voice, and once again she doesn't disappoint me, neither does the rest of the cast – Helen Morgan's touching version of “My Bill” certainly deserves an extra mentioning. and that´s our lost chance of hearing "Why Do I Love You?" Meritedly, this second screen adaptation of Show Boat – first filmed in 1929 as semi-talkie production, remade in 1951 by MGM as a Technicolor musical – made it to the list for preservation in the United States National Film Registry by the Library of Congress, but we are still waiting for an official DVD release, at least rather good TCM rips are around. Though the film is on YouTube, I highly recommend watching it on the biggest screen you have at hand – this film simply cries for a big screen. Well, have a wonderful time visiting the “Cotton Blossom”! What’s there to say: The best of all versions - a superb cast and wonderful music. I just love Irene singing "After the Ball" (it's heart-breaking) and her "The room above me" with Allan Jones (don't miss her cute laughter after the song). And I miss "Why do I love you" terribly. It doesn’t matter if Irene was almost 40 in real life… she had to wait more than five years to finally appear in the movie version of her beloved Show Boat which she certainly played to perfection in the road company… I believe her entirely that she’s just a young girl or that she’s an older woman, cause as we know since Cimarron she’s a sheer marvel playing elderly women. 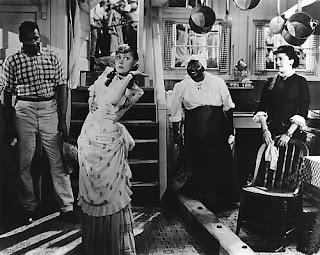 So, if you are in the mood for a musical, try Show Boat 1936 – the best of the best – and forget the 50s version. Thanks again for another great review, Susanne. I wonder if the missing scenes exist somewhere, it would be so amazing to see the Why Do I Love You lost scene someday. 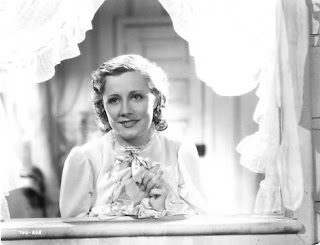 Detour - Irene Dunne And "Show Boat"